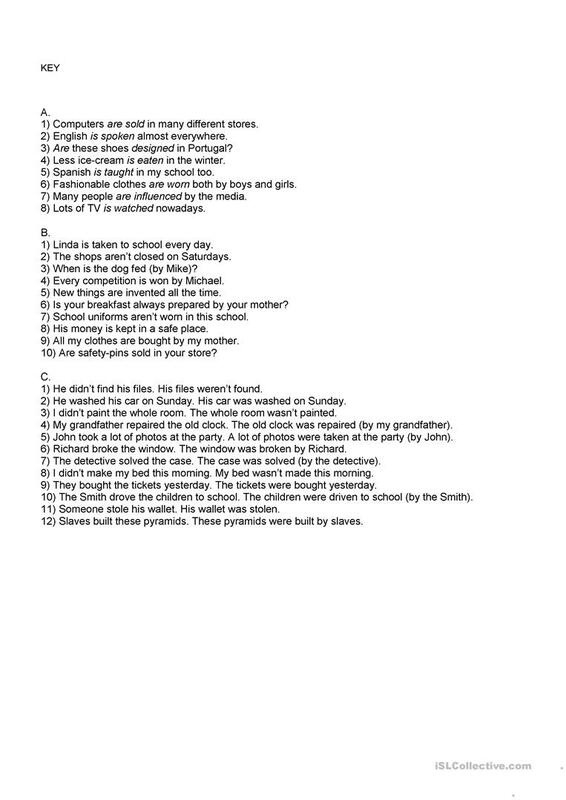 Students are given the form and usage on the passive voice - example of sentence transformation included. For the PRESENT SIMPLE there are 2 exercises - gap-filling + rephrasing. 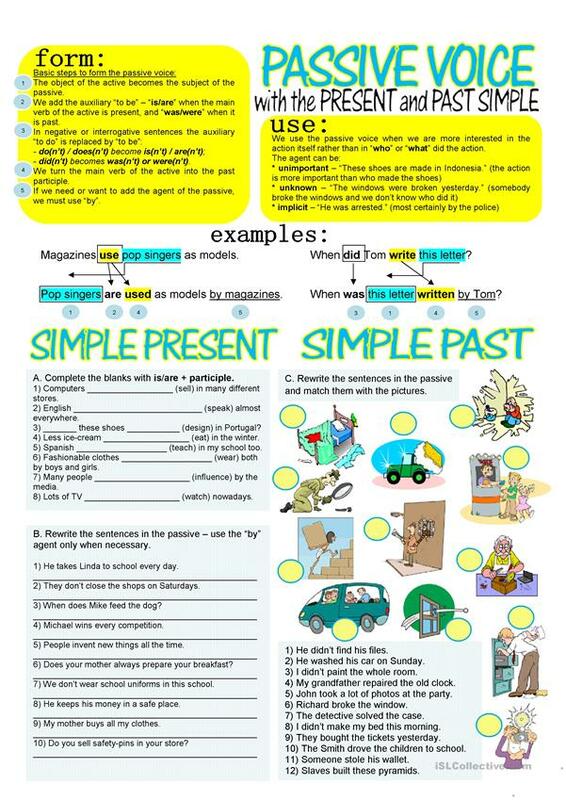 For the PAST SIMPLE there are two as well - rephrasing + matching with pictures. Greyscale and key included. The above downloadable printable was created for high school students and adults at Intermediate (B1) level. It is great for teaching Passive voice or active voice in English, and is useful for improving your class' Writing skills. There is an answer key provided with the exercises.